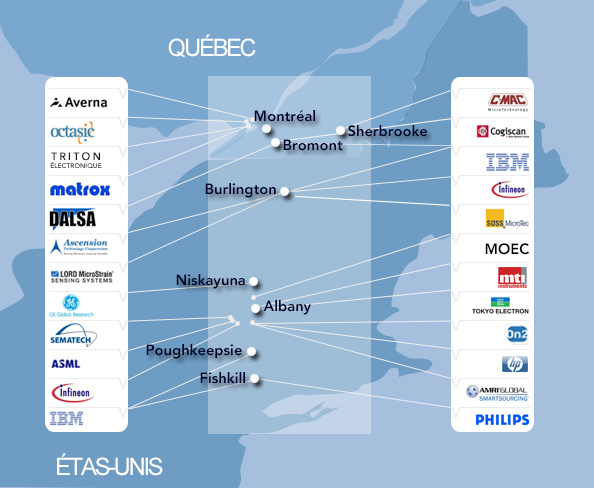 The microelectronics sector is in full expansion with more than a hundred companies specializing in this field throughout Quebec. They employ more than 8,000 people, of whom half work in the Montérégie and the Eastern Townships. Some sectors such as those concerning semiconductors, circuits and specialized systems as well electronic assembling are presently going through a real developmental boom. Located in the Microelectronics Northeast Corridor, the Bromont Science Park is well positioned inside this economic and technological environment because Teledyne Dalsa, the most important Canadian semiconductor foundry, is established here as well as IBM and four research centres working on the development and advancement of microelectronic technology1. Source : Ministère de l’Économie du Québec.